Health, History, Horses... and High C's! Health and horses are the foundation of Saratoga’s history, and continue to attract thousands of visitors to the region annually. But with Opera Saratoga’s annual Summer Festival presented during the peak of the summer season, Saratoga’s motto of Health, History and Horses seems rather incomplete without the addition of some High C’s… Join us for an Opera Saratoga getaway, and experience world-class opera while also enjoying all that the region has to offer! Located in the southernmost foothills of the Adirondack Region in Upstate New York, Saratoga County is rich not only in cultural offerings, but also in natural beauty and attractions of national historic significance. 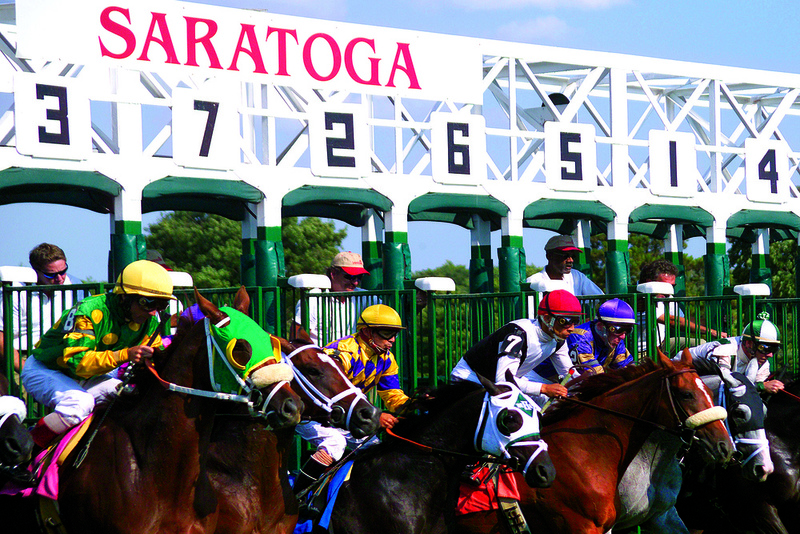 From the crucial Battle of Saratoga and the early colonial settlers, to the Saratoga Race Track, the Gambling Era, and the significant role played by the USS Saratoga in US naval history, the rich history of Saratoga Springs is colorful and wide ranging. Victorian charm meets upscale ambiance in “Spa City's” bustling downtown district. While in town, visit quaint shops selling the latest fashions and gifts, grab a bite to eat one of the corner cafes or gourmet restaurants, hit the spas for some rejuvenation and relaxation, or take a stroll along Beekman Street – Saratoga’s newest center for the arts, with exquisite galleries, quaint bistros, and funky artist shops perfect for locating that unique find. 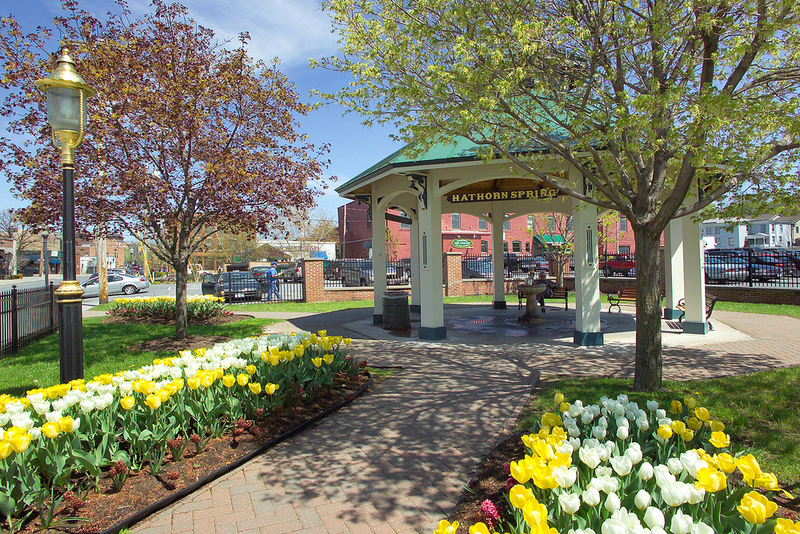 Downtown Saratoga is consistently rated one of the most scenic in the country, but a visit to our city isn’t complete without a visit to one our beautiful parks. 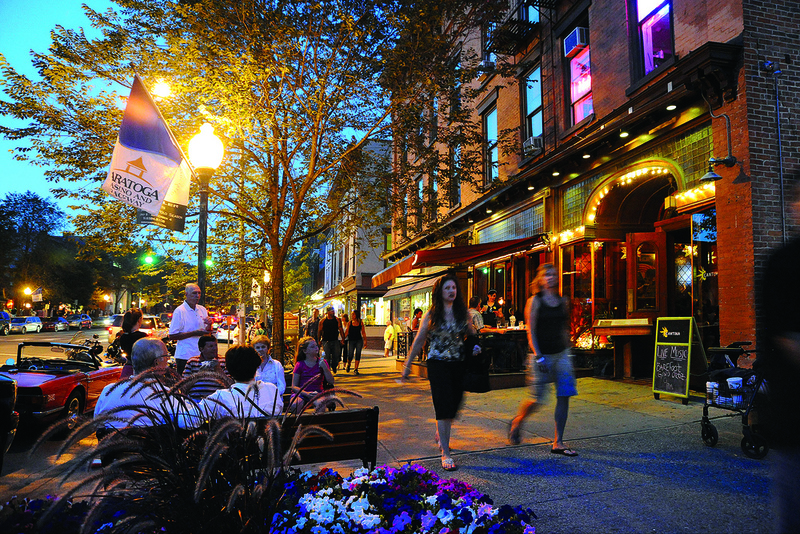 Located in the heart of downtown, Congress Park is the perfect place for outdoor recreation and relaxation, a popular Saratoga hotspot. Take a break from strolling along Broadway to enjoy the carousel, fountains, gardens, mineral springs and more. Just east of the busy downtown district lies a stunning Japanese garden on the grounds of Yaddo – a 400-acre artists' community that nurtures the creative process by providing an opportunity for artists to work without interruption. Admire the exquisite flowers, plants and scenery as you take it all in. With free admission, Yaddo is a one-of-a-kind treasure. Hundreds of acres of lush, well-groomed grounds and several mineral springs make up Spa State Park, which is also home to Opera Saratoga’s principal performance venue – The Spa Little Theater. The springs for which the city is named are the only naturally carbonated mineral springs east of the Rocky Mountains. Mineral water for drinking and bathing, long a European tradition for the health conscious, was the impetus for the explosive development of the city. In 1831, with the advent of the railroad, tourism blossomed. ‘Taking the cure’ at Saratoga became a firmly established tradition for thousands of visitors – a tradition you can still enjoy today. Also within Spa State Park is the Saratoga Performing Arts Center (SPAC), summer home of New York City Ballet and The Philadelphia Orchestra.